Who does not want bouncy hair ! But do you really have the time to wish hair every day ! Not possible right! So having a good dry shampoo is a must. 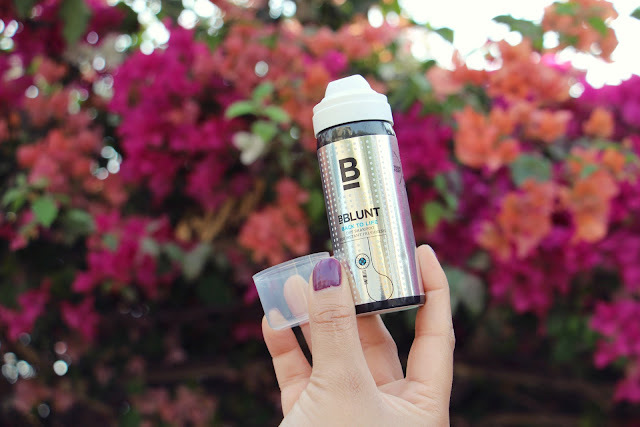 Finally companies have realised that dry shampoo is a must have and there we have B Blunt Back To Life Dry Shampoo. 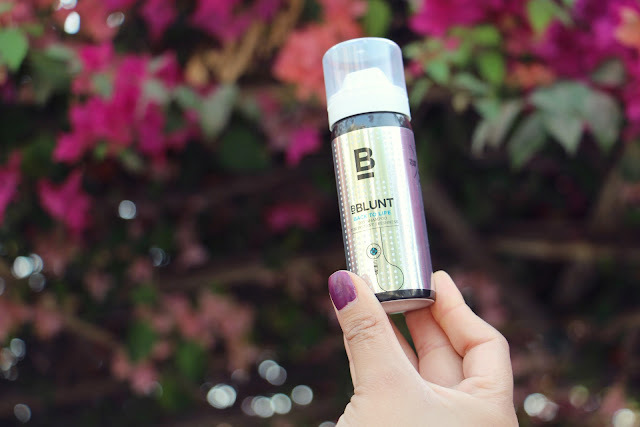 B Blunt Back To Life Dry Shampoo costs 250 INR for 30ml and has a shelf life of 24 months. I have super straight hair, which truly are a blessing but because they are that straight, sometimes they look flat, specially when I an dealing with second day hair. To be honest, I cant even think of washing my hair every day, but on the other hand, I have oily scalp. The only thing that can tackle my problem is a dry shampoo. Sadly there was no good option available in India but finally we have B Blunt Back To Life Dry Shampoo which makes hair grease free in seconds. All you have to do is spray a generous amount in roots, let it sit for a minute and shake off with fingers or brush. I have been using it for over a month and have to say, it works pretty well. The shampoo absorbs all the oil, leaves hair fresh and bouncy. Now generally dry shampoo's are a problem for black hair girls, thus one despite being white, does not show up. 1. Smells nice, nothing too strong. 2. Absorbs all the oil and grease. 3. Does not leave white residue. 5. Sometimes dry shampoo's itch, this one doesn't. 6. You can reuse it during the day. 7. I use it sometimes just fir the extra bounce on freshly wasged hair and ut works. 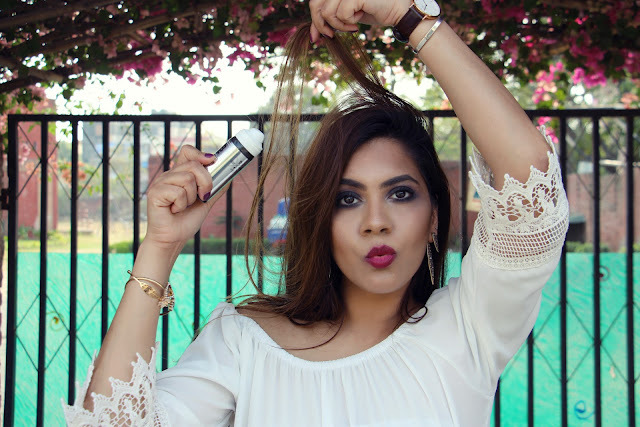 For Delhi's hot summer, when hair get flat, oily and greasy and you need bouncy oil free hair, this dry shampoo is a must have. B Blunt Back To Life Dry Shampoo is a residue free dry shampoo which works in seconds. I love the first photo! The beauty! I never tried dry shampoo! I would like to try this shampoo!